The snow starts to melt and you can feel spring on the horizon. Days become lengthier and your thoughts trend towards getting your landscape, yard, and garden exactly the way you want. This is about to be, “next year…”. You think this because, “…last year”, well let’s just forget about last year. You planned you arranged, you spent, you had high hopes, and then one early May (or June, or July) morning…gone. 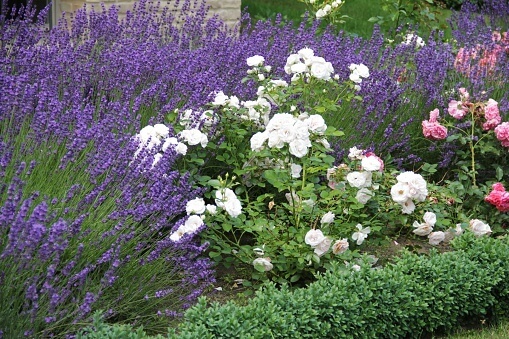 Lavender: Use lavender to create a pseudo-border around your prized landscaping. The fragrance released by lavender is attractive to most, just not deer. Your hope here is to direct the deer in another direction. Not to mention, you profit in the fragrance and the slender purples and blues. Fig: Take a walk on the wild side and have fun growing a fig tree. Sure, they require more maintenance than your typical fruit tree but I think there is a much higher satisfaction ceiling to strive. There is a debate about how deer resistant this plant actually is but there is still much evidence that deer avoid the fig tree. If you are in colder climates, keep in mind you will have to bury this beautiful tree once you frost over. Daffodil: The daffodil is a beautiful perennial bulb you can bury and design a natural defense to foliage and your other special stems. Of special note, the daffodil is poisonous to deer and deer are not dumb. The daffodil can be planted in large patches, naturally pointing the deer to go elsewhere. 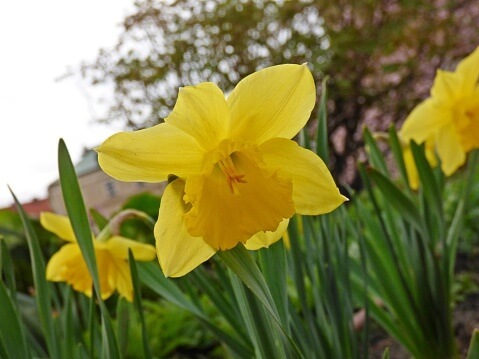 Special bonus…daffodils are a stunning bloom. Amistad: Growing 3’-4’ in height with blazing violet tops, the Amistad stands tall and draws the attention of your eyes. Deer tend to avoid the Amistad as a snack. As a bonus, the flowers are a favorite of the hummingbird. The blossoms are ongoing from early summer until frost. Helenium ‘Short ‘n’ Sassy’: The Helenium genus provides bold and bright colors on a sturdy stem. This blooms in August and September when most perennials have shut it down for the summer. The orange and gold flowers on molasses-colored cones that will bring butterflies throughout the summer. Anyone of the plants highlighted will be a great addition to any garden or landscape. What it really comes down to is the planning and organizing of your vegetation. Further, keep in mind, if you really, really do not like peas, but you are really, really hungry…you will likely eat peas. A plant may be tagged as a ‘deer resistant’ but that does not mean ‘deer proof’. Go Green and good luck in your outdoor growing ventures and you can contact Treesdale Landscaping for more help!